When Sonny Bono died in 1998, the public pointed to an old superstition: Celebrities tend to die in trees. Gratefully, Harrison Ford survived; otherwise we’d have to hear them go on about how celebrities tend to die in fores. 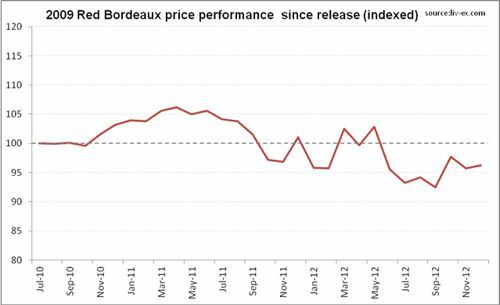 Indeed, Bordeaux’s 2009 was as close to weather-perfect as any wine growing region gets. 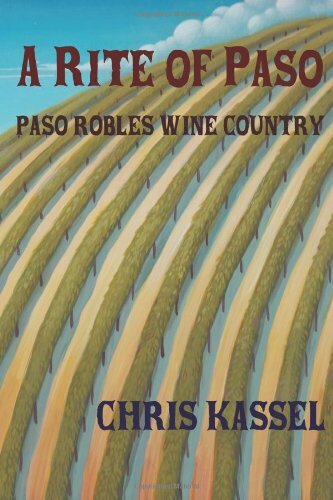 Ripening progressed steadily and unremittingly through autumn, producing supple wines that were concentrated and potent—so much so that they resulted in a sort of conundrum for collectors. It was one of the few vintages released at such a high initial post-en-primeur offering (well into five digits for cases of First Growths) that the prices declined, rather than rose, in the aftermath. 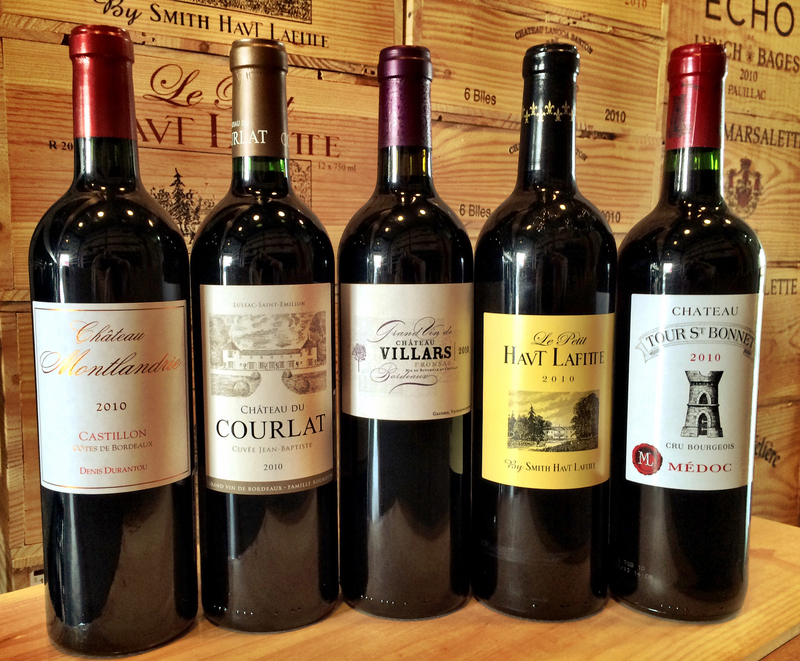 2010, therefore, is more along the lines of a ‘classic’ Bordeaux: Dense, firm, austere and acidic with an aging potential that may be measured in decades rather than years. 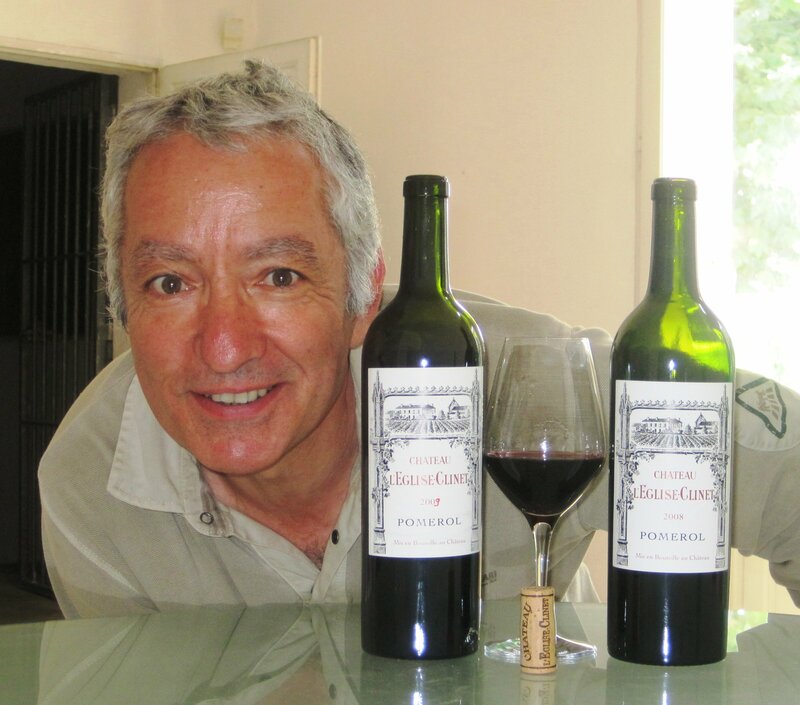 Although both sides of the the Garonne River enjoyed similar conditions, it’s said that that the Cabernet-based wines of the Médoc and Pessac-Léognan (Right Bank) fared slightly better than the Merlot-based Right Bank wines. So I put five to the test. Of course, being an Everyman’s type of eno-scribologist, I restricted myself to Bordeaux under $60, which is harder to find than Harrison Ford’s parachute. 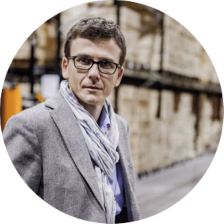 It means taking a hit of the top AOCs like Pauillac and Pomerol, where 2010s are going for upper hundreds to low thousands, but I found some beautiful wines, if not heart-arresting, rafter-ringing, town-painting red wines, in my price range. 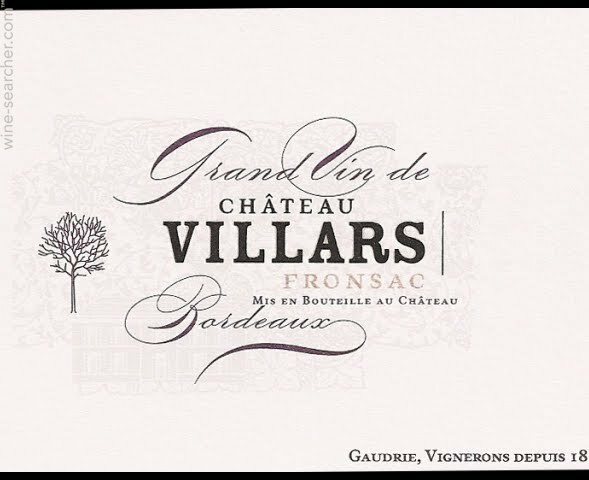 Château Villars, Fronsac, (83% Merlot, 14% Cab franc, 3% CS) about $25: A warm, brambly, discreet nose of black raspberry and cassis gives over to a reasonably full-bodied, rounded wine with herbal notes behind the fruit, immature tannins and a fairly quick drop-off point. Soils tend to be poor in Fronsac, composed of more sandstone than clay, and although this makes the grapes more resistent to the heat which often narrows a focus on this small appellation overlooking the River Isle valley, but also affects (negatively) some of Merlot’s characteristic velvet and softness. 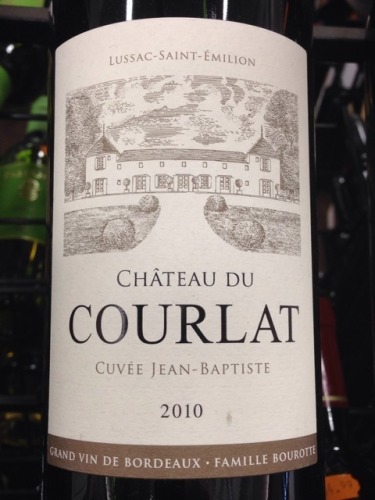 Château du Courlat ‘Jean-Baptiste, Lussac-Saint-Émilion (100% Merlot), around $30: Rare it is to find an unblended wine in Bordeaux—it’s believed that even Pétrus, Merlot’s heavyweight champion of the world, contains some Cabernet franc. Lussac, a satellite appellation of medieval village of Saint-Émilion, is known for a diversity in soils and terroir quite similar to those of the great estates of the mothership. This wine opened with a tremendous blast of juicy plum and blackberry—a bouquet to make the most cynical Merlot-hater swoon. But the palate does not echo the succulence of the nose, but comes across as a welterweight; disappointingly tannic and tough—a rather hard wine that may not be able to outlive it’s woodiness. 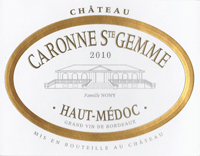 C hâteau Caronne Ste Gemme, Haut-Médoc (65% Cabernet sauvignon, 30% Merlot, 5% Petit verdot), around $29: Located on the southwest corner of St. Julien, on soils that are predominately built on ancient gravel called günzienne; the château, not quite as old as the terroir, has still been producing wine since the sixteenth century. The wine is explosively earthy with rich black truffles, wood smoke and a bacon-like aroma that I couldn’t quite nail down until a fellow taster (Nick the Brit Rowley) identified it undeniably as ‘baked beans’. 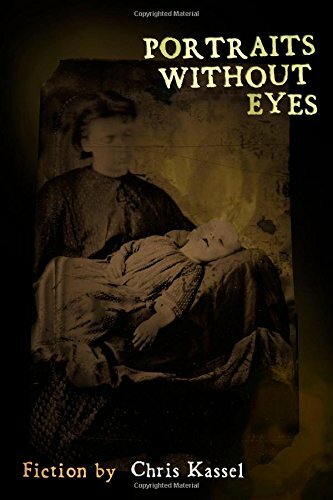 Thence, that’s all I could smell. The palate showed acidic cranberry, a satisfying rustic depth of earth and sweetness and well-integrated tannins. Château Montriandrie, Castillon (75% Merlot, 25% Cab franc), about $45: Castillon is a fairly large commune in the far east of Bordeaux— due east of Saint-Émilion and south of Fronsac. Top terroirs are located on the The finest terroir is located on the plateau above the appellation, where large deposits of limestone and clay soils dominate; the slopes contain more gravel and sand. 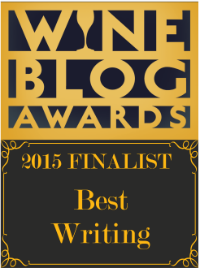 The wine is particularly well balanced; not huge in scent or flavor, but bright and juicy. 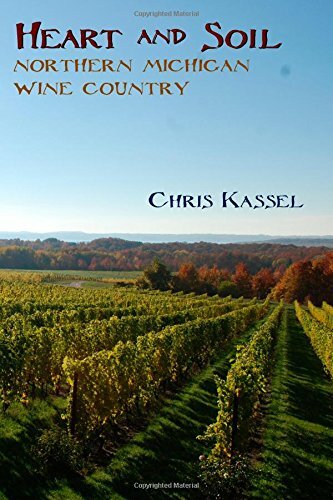 A slight sense of wateriness made me wonder if the vineyard was hit with a late rain—it seemed oddly (slightly) diluted, although still finely structured and tasty. 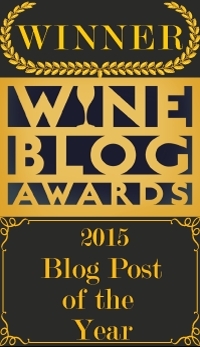 The skill of the winemaker Denis Durantou is on full display; I’m curious about the fruit. 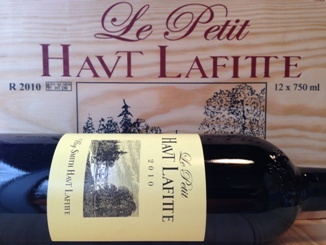 Le Petit Haut Lafitte, Pessac-Léognan (55% Cabernet sauvignon, 45% Merlot), around $59: The first wine of the Château, Smith Haut Lafitte, sells for more than twice this price, and Le Petit is actually a better deal at $60 than du Courlat is at $30. A spicy, white-pepper intensity rises from the glass, filled with layers of red fruit complemented by chocolate, licorice and roasted espresso beans. The wine is supple and full, rich with sweet plum and opulent black cherry. Tannins remain a bit tight, but with this depth of fruit behind them, it’s the sort of wine made for laying down until the components mingle, marry and mature. This entry was posted in Bordeaux, FRANCE. Bookmark the permalink. I definitely wanted to send a quick comment to be able to say thanks to you for all the lovely tips and tricks you are writing at this website. My long internet search has at the end of the day been recognized with awesome content to share with my pals. I would admit that we visitors are definitely blessed to be in a good site with so many lovely people with insightful ideas. I feel rather blessed to have seen your web page and look forward to many more entertaining times reading here. Thank you once again for all the details.